Founded in 1880, Casa Ramos Pinto quickly became renowned for its wine quality and modern batching and selection techniques. Hand-harvested grapes are crushed by foot, before being fermented and aged. A traditional vintage, this fantastic, unfiltered LBV port boasts hints of raspberry, compote and plum aromas, as well as pepper and anise undertones. 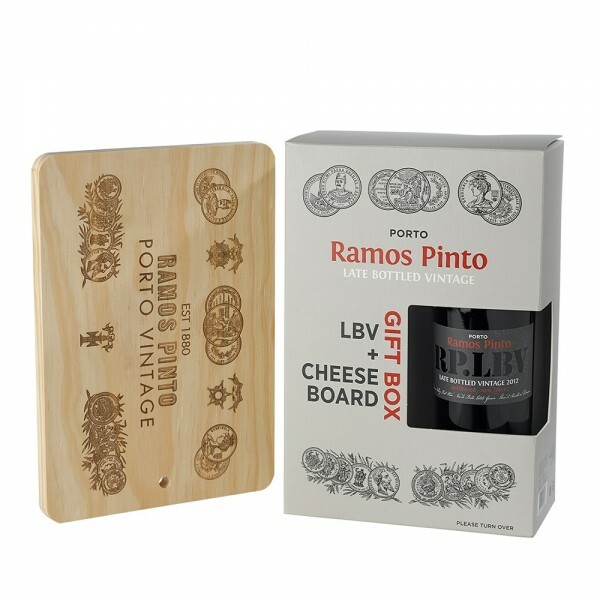 Serve with cheese from the lovely branded cheeseboard included to kick off your evening in style.